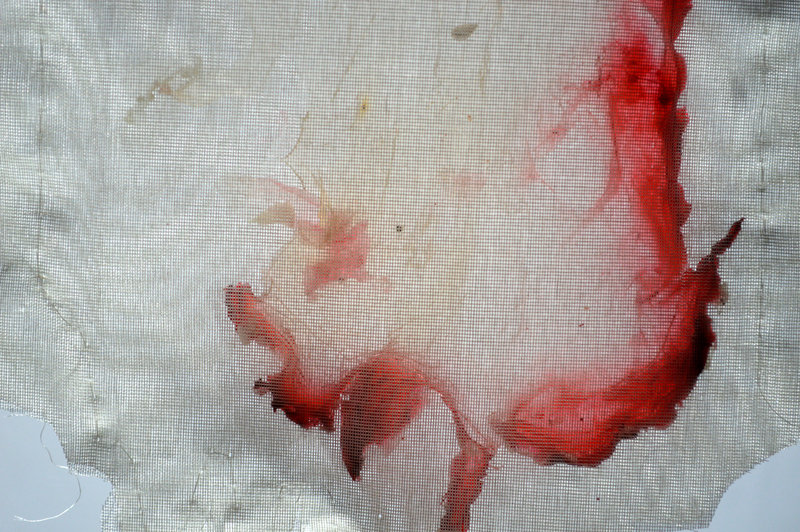 Blood on Silk: Tbilisi opening 7th May 6 p.m.
You are invited to the private viewing or opening on May 7th 6 p.m. This work is responding to the economic, cultural and historic context of the State Silk Museum. The idea of the historic trade in silk and textiles will be overlaid onto the contemporary trading routes in bio products including blood, people and body parts. It questions through the pairing of the seemingly unrelated ideas of blood and silk, the idea of what can be traded, and what is available to be sold. Previous postFleur MacDonald’s walkthrough of Ian Milliss’ show at Artspace Notes on the Works.